I've never been particularly drawn to polka dot pants, even though I've seen them everywhere in the past year or so and love them on other people. But something about these drew me to them like a magnet! Not only do they fit me perfectly (which, without any kind of alterations, is super rare), but I especially love the soft velvet they're made out of. I just know they'll be perfect for pattern mixing and layering during the winter months! Pretty outfit. I love your dot pants and the color of your sweater is amazing. So cute - I am seriously in love with velvet right now, but have never seen skinnies like these before...amazing find! 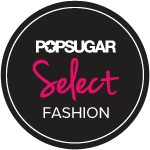 Love that you paired these cute pants with a pop of pink! They look great on you! Loft has a pair of pants so similar to them! I've tried them on 2 times already but have always picked another item over them, these pictures are making me regret that! I just found your blog! And I love it! Great outfit, love the pink sweater with the Free People pants! 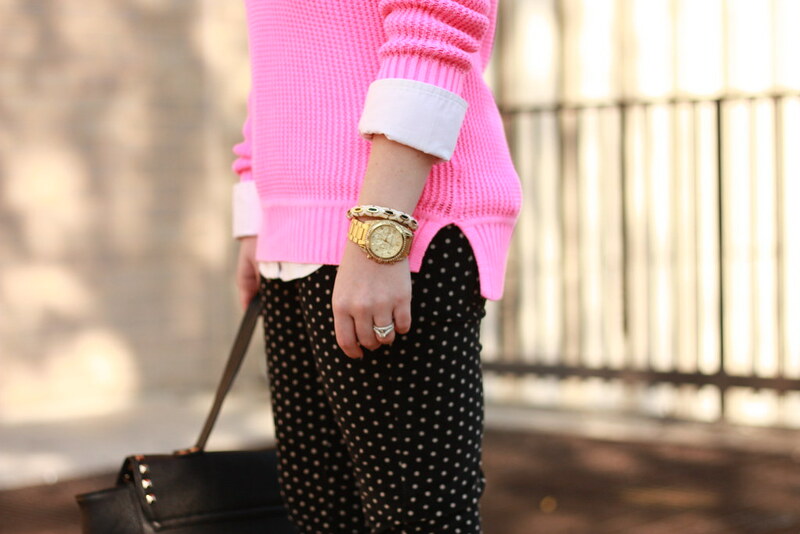 I really love the paring of the hot pink knit and the black polka-dotted pants. Absolutely genius!